Dr. Andrew Lyos proudly serves clients at two state-of-the-art locations with his excellent skills and experience delivering some of the best plastic surgery Houston and The Woodlands have to offer. Triple board-certified in plastic surgery, facial and reconstructive surgery, and otolaryngology, he is one of the most sought after cosmetic surgeons in Texas. Since opening his practice, Dr. Lyos has built a reputation as a kind and knowledgeable surgeon with a penchant for creating subtly beautiful cosmetic enhancements. His warm demeanor, unmatched skill and impressive breadth of expertise puts our patients at ease, ensures their safety – and keeps them looking and feeling their best. Dr. Lyos’s practice is built on the belief that every person – regardless of their age – deserves to Love Your Own Skin. As such, he offers an array of plastic surgery procedures, non-invasive treatments, and customized wellness plans to help you accomplish your appearance, health and wellness goals. In addition, Dr. Lyos is committed to always improving and growing as one of the top plastic surgeons in Houston. To that end, he is constantly developing new procedures, refining his techniques, and adding to his already vast knowledge. Dr. Lyos has the unique distinction of being triple board-certified in plastic surgery, facial plastic and reconstructive surgery, and otolaryngology – head and neck surgery. These certifications come with a breadth of expertise that assures his Houston clients that they couldn’t be in more capable or trustworthy hands throughout their cosmetic journey. From a facelift to rhinoplasty, Dr. Lyos, arguably the best plastic surgeon The Woodlands has to offer, performs facial procedures with refinement and mastery, ensuring a natural outcome. Whether you’re looking to reduce the signs of aging or simply make a cosmetic change, he will work with your goals to ensure you are happy with the result. If you’re unhappy with some aspect of your body, you’re far from alone. Patients routinely come to Dr. Lyos to request a nip here, a tuck there, and a generally improved appearance. Dr. Lyos performs the full gamut of body contouring procedures and can help you determine the best procedure for you. As potentially the best plastic surgeon Houston and The Woodlands have, Dr. Lyos has vast experience in dealing with the breasts—whether augmentation, reduction, or even revision of a previous augmentation. He employs a conservative approach with the breasts, ensuring nothing drastic is done that could potentially ruin the health or cosmetic appearance of the patient. Male plastic surgery requires a particular set of considerations, to which Dr. Lyos is no stranger. His exquisite technique helps men get the cosmetic treatment they deserve, all without dramatically altering their fundamental appearance. With Dr. Lyos performing some of the best non-invasive procedures and plastic surgery Houston and The Woodlands have available, it is now possible for many men and women to achieve all of their cosmetic goals without ever having to undergo plastic surgery Texas. With subtle, natural-looking fillers and injectables, you can restore lost volume, fill in lines, smooth wrinkles and enhance aging facial features. You deserve health, happiness and beauty. Our wellness and weight loss plans are completely customized to your body, and can help you shed extra pounds and improve your nutrition when other methods have failed. Successfully getting rid of cellulite on your own can feel impossible. At MD Aesthetica by Dr. Lyos, we are proud to offer Cellfina – a clinically proven treatment that results in the long-term improvement of cellulite. Smooth your skin, brighten your complexion, and put your best face forward – every day. Our non-surgical aesthetic treatments are designed to subtly enhance your natural beauty in a way that looks organic – never artificial. Achieve your body goals with our non-invasive procedures. From non-surgical body sculpting to treatments that are designed to melt fat away, your ideal figure is now completely within your reach. The truth is that I care deeply about my patients. I get to know what’s going on in their lives, because they are important to me. And by connecting with them on a personal level, I’m better able to create the precise aesthetic enhancements they want. Dr. Andrew Lyos In a league of his own. Dr. Andrew Lyos is known for his kindness, his expertise, and his amazing results. With over two decades of experience, Dr. Lyos offers some of the best plastic surgery The Woodlands and Houston has available. 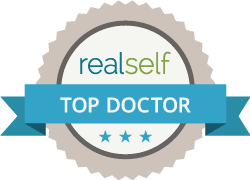 He is the best plastic surgeon to see for subtle, conservative results that are true to your cosmetic goals. His state-of-the-art facility features over 10,000 square feet of office space. In addition to a soothing entrance lounge, spacious treatment rooms and a luxurious medical spa, the office is complete with an ambulatory surgical center with overnight stay. This allows all of your care - from pre-operative appointments, your procedure and your recovery - to be performed in one, convenient location. Schedule a consultation today with arguably the best plastic surgeon The Woodlands and Houston have to offer and get the results you've always wanted. Beautiful results you can count on.